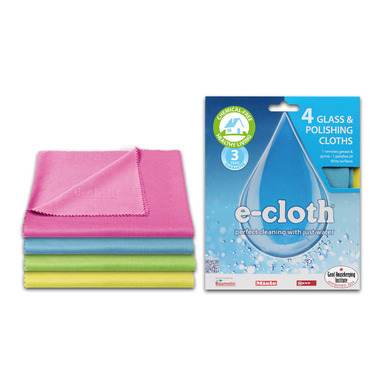 This is the pack for giving the final sparkling finish to all appliances, shiny surfaces and glass, as well as being greatly effective at all light cleaning. Its specialist fibre construction and weave increase the speed at which moisture is absorbed, to remove even the lightest grease and finger marks from glass and all shiny surfaces, to leave them completely streak-free. It will easily outperform specialist liquid cleaners on surfaces like chrome and glass.